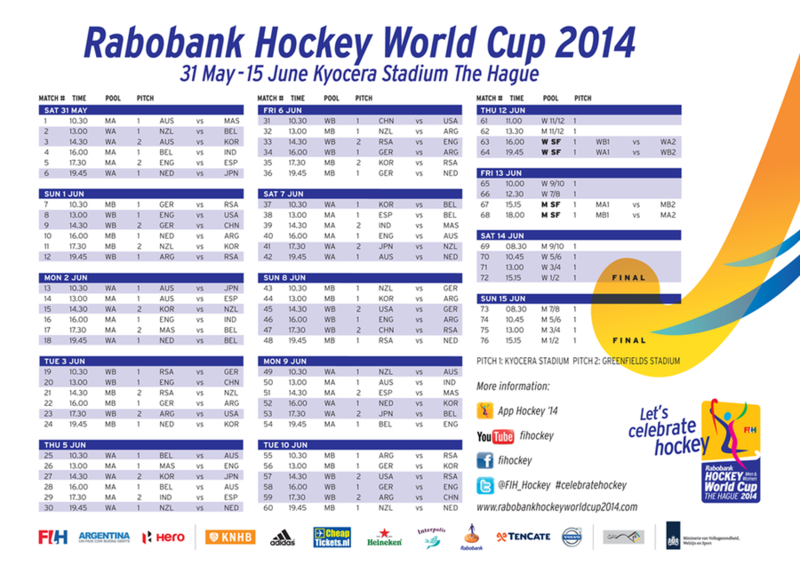 The Men’s and Ladies World Cup 31 May - 15 June 2014 schedule was announced today. The SA Men will face Germany at 10.30 on the 1st June 2014 in their opening game, the woman also have a tough start against Argentina at 19.45. For more information check out the World Cup website; rabobankhockeyworldcup2014.com or download the World Cup App from your android or apple store. Interested in coming to watch your favourite player or team? Here is the official online ticket office, SEE Tickets. 100 000 tickets have already been sold and first three Sunday are nearly SOLD OUT! See you in Den Haag, Holland.